Size and weight constraints on wearables limit their battery capacity and restrict them from providing rich functionality. 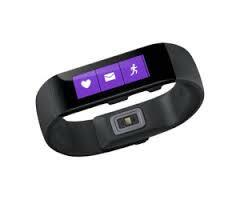 Microsoft Corporation is looking to fix one serious problem with wearables – battery life. Smartwatches and fitness bands come with a tiny battery, which requires frequent charging, especially when they are engaged in performing many functions. Microsoft has figured out what it calls WearDrive, which is able to triple the life of a wearable battery without hurting its functionality. Microsoft researchers have come up with a way to make wearable gadgets such as fitness trackers and smart watches go much longer between charges. WearDrive uses the increased power and battery of your smartphone to do some of the heavy lifting for the smartwatch or tracker. WearDrive offloads energy intensive tasks via Bluetooth or Wi-Fi onto your smartphone, while the wearable takes care of lightweight tasks better suited to its size. Not only will this improve battery life, it will also speed up the performance of these tasks. The Microsoft Research paper states: "WearDrive improves the performance of wearable applications by up to 8.85x and improves battery life up to 3.69x with negligible impact to the phone's battery life." The system will be able to switch on and off, depending on whether the wearable is paired to a smartphone. We are weary of all wearable tech becoming too reliant on smartphones but with WearDrive, the device wouldn't be useless without a smartphone, it would just run out of juice quicker.